The rise of the independence movement in Catalonia has encouraged a group of citizens to start working “seriously” on the feasibility of turning Barcelona into a new autonomous community of Spain. If the idea goes ahead, the city could be independent from Catalonia. The Barcelona Via Fora platform, created four years ago, plans to become an association in December and will be officially presented between the end of the year and the beginning of 2018. “The first step is to figure out the support we have among citizens,” spokesman and economist Carles Bruguera says. He explains that they feel tired, disappointed and unprotected when it comes to coping with the independence movement, as well as for “the negative impact” that it has had on the city of Barcelona. They regret that more than 2,000 companies have moved their legal headquarters out of Catalonia and that the tourism activity has declined due to political turmoil. “The results of the last elections showed that the majority is not in favour of independence,” he says. In 2015, 44 percent of the voters backed secessionism. The platform seeks the promotion of the Barcelona brand; they want to protect the city’s identity and values, recover stability and attract investments. “We don’t want to break Catalonia, but to preserve the city,” Bruguera says. 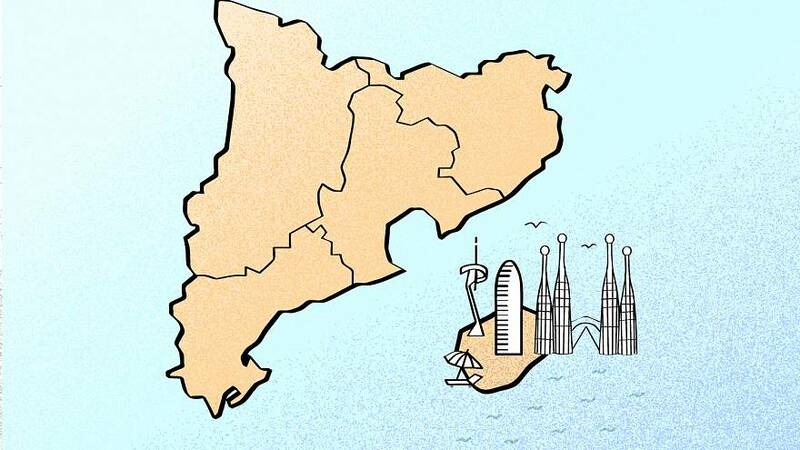 Regarding the geographical area of the new autonomous community, at the moment they don’t want to set limits, although they admit being open to include other towns or cities of the Barcelona region. One of the first actions that they want to carry out is a collection of signatures to find out how many people back them. After that, they could propose a citizen consultation and bring the proposal to the Parliament of Catalonia. However, if the supporters of the unity of Spain are the winners, “we will slow down.” “Regardless of what comes out on 21D, it’s necessary to raise this issue,” he says. Bruguera insists on distinguishing his proposal from mockery on social media. A campaign recently claimed independence for a non-existent Catalan land called Tabarnia, including Barcelona and Tarragona regions. He feels closer to London’s initiative to become independent and remain in Europe, after Brexit. “The most important thing is that we work to improve Barcelona, to be more prosperous and to have more opportunities in the future,” he notes.